Born September 2005, amber is by the excellent irish sire Rocky (EBV LM51). 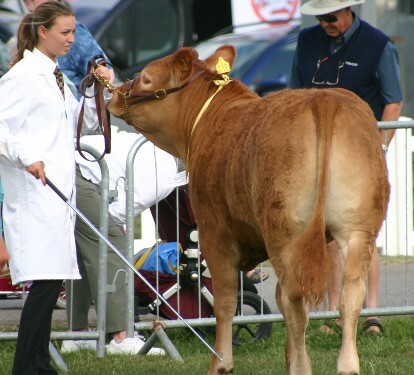 She has grown really well and was Reserve Purebred Champion in the Young Farmers Section at Kent Show in July 2006. 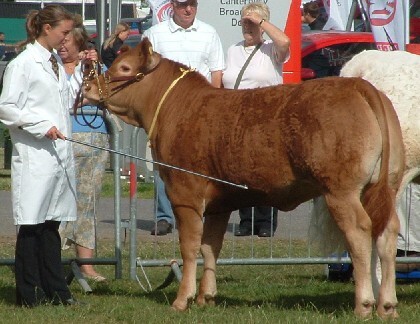 At her senior show, Cranleigh, she was 1st and Champion AOB Continental at only 11 months old. amber with Hayley at Kent Show. Amber aged 10 months.